In England, there are 2 long weekends in May. For the first one, our friend Richard kindly invited us up to his holiday home in Yorkshire for walks, ruins and some beers. We certainly did all three. 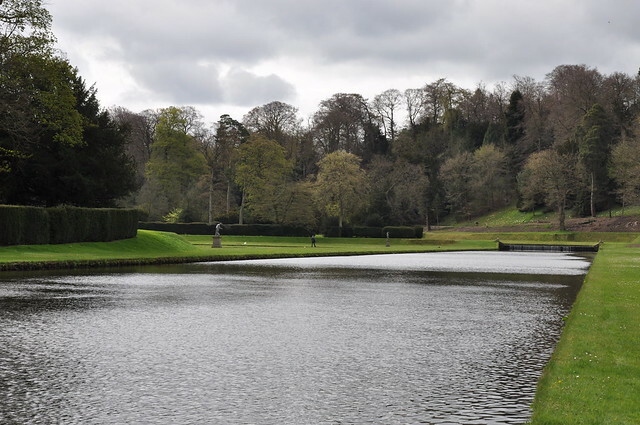 Richard took us to Studley Royal estate – a beautiful estate and water gardens built in the 19th century. 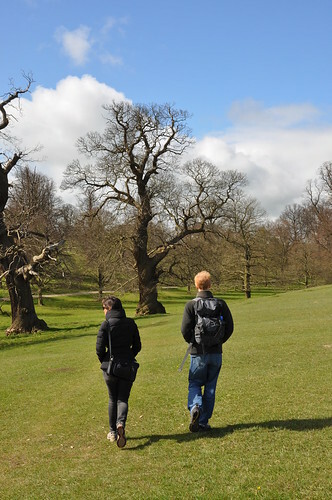 A great place for some walking. 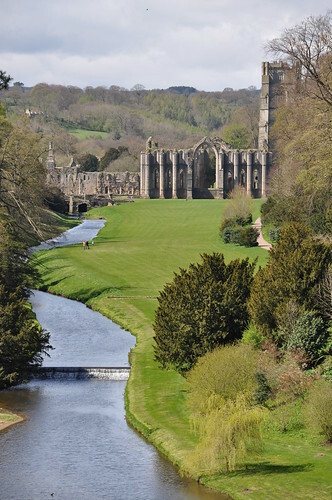 The estate is beautiful, but was actually built to enhance the picturesque ruins of the 12th century Fountains Abbey. 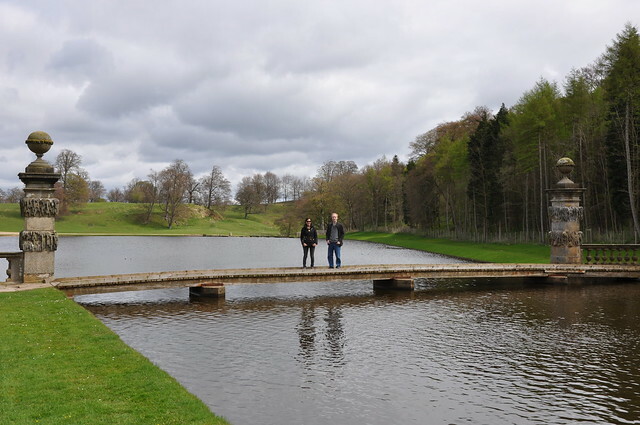 Together they are a Unesco World Heritage Site, and the most visited of all the National Trust’s pay-in properties. 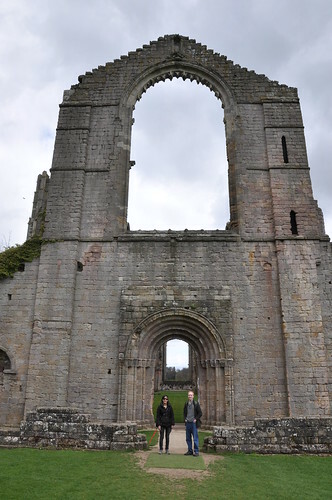 After falling out with the Benedictines of York in 1132, a band of rebel monks came here to what was then a desolate and unyielding patch of land to establish their own monastery. 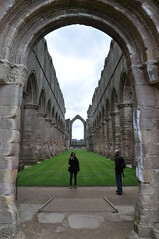 After a couple of years, they were adopted by the Cistercians and by the middle of the 13th century, the new abbey had become the most successful Cistercian venture in the country. 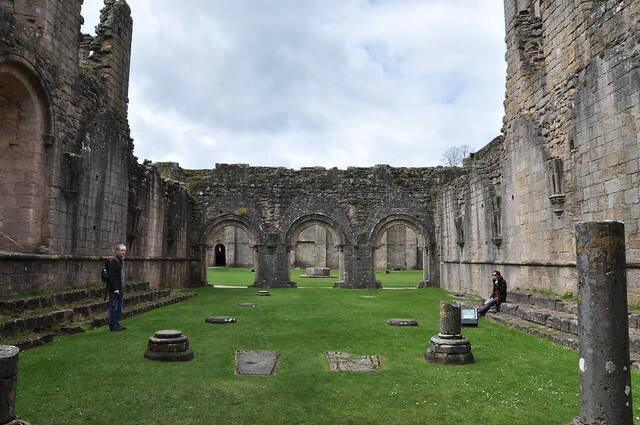 During this time, most of the abbey was built, including the church’s nave, transepts (the cross parts) and eastern end, and the outlying buildings. 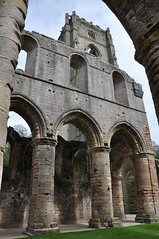 A lot of the nave is still standing, though it’s missing its roof. The monks’ who prayed in this building lived lives of poverty, chastity and devotion to God. That meant they had no personal belongings, prayed several times a day (including in the middle of the night!) and had restricted meals. Too much! 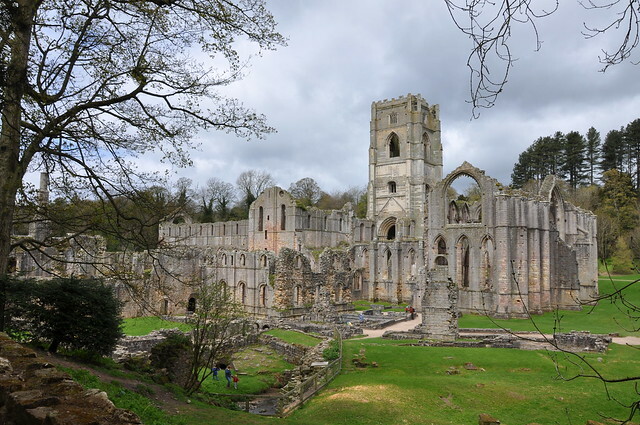 The abbey was very very wealthy because of the wool trade – they had a lot of sheep and hired lay brothers to work the land and maintain the abbey buildings. Without that income, they could never have built such an impressive structure! 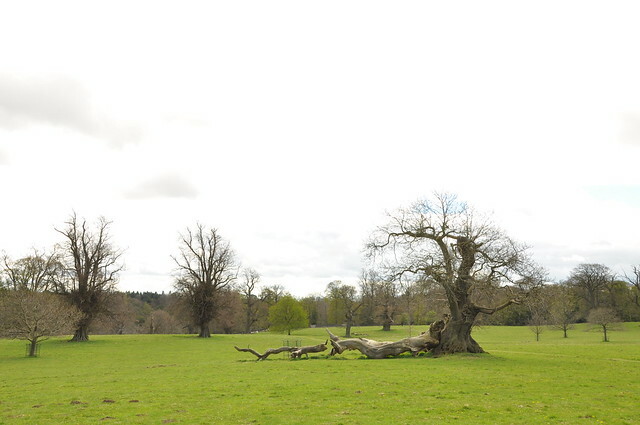 The lay brother’s ate and slept in a building like this – a big dormitory. They had a more comfortable life than the monks. They were allowed to eat full meals so they can continue their manual labours and had a fireplace in winter, which the monks did not. Repairs have been made to the buildings over the centuries. 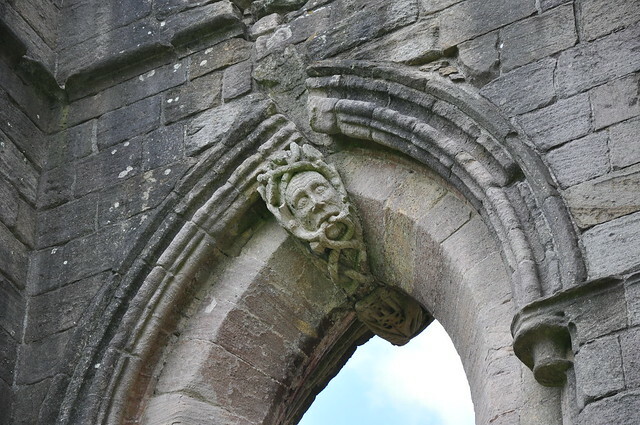 This is how they used to repair cracks in arches and such in the 14th century – with a patch like this ugly face below. Cute! 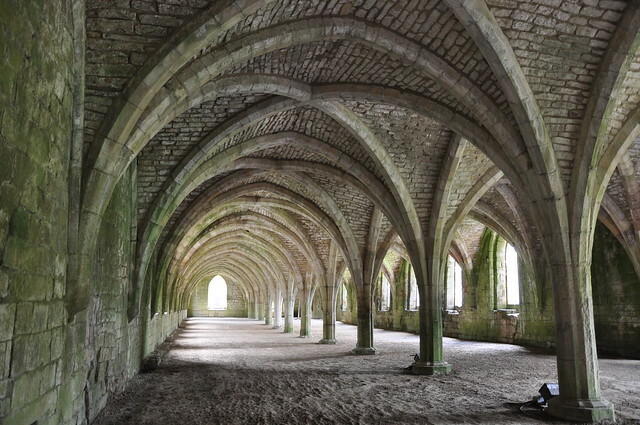 Here is the heart of the abbey complex – the cloisters. There would’ve been a covered walkway all around this space and an open space in the middle. The thing is, in winter this whole complex would’ve been *freezing*. Like I mentioned before, the monks didn’t have any heating in their dormitories or work areas – only if they were working in the drying room would they get warmth. They would meet here in the Chapter House every morning for daily news and a reading, but also so any of the monks could confess their sins and be issued a punishment by the abbott, like 5 hail marys and extra hours reading scriptures. One of the strictest aspect of their lives, in my perspective, was the restrictive meal amounts the monks had. They had no breakfast or lunch and for dinner they were only allowed “two cooked vegetable dishes and a generous portion of bread; fruits in season were served as a third dish.” This was the dining hall where all the monks would eat together and they weren’t allowed to speak during meal times. So strict! 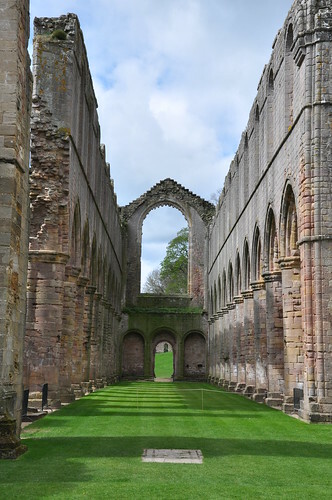 The Cistercian monks were a more religious order than the Benedictines (who were allowed to eat as much food as they liked at meal times) but they were more successful as a religious order in the UK because of the strength of the lay-brothers and the wool-trade finances. 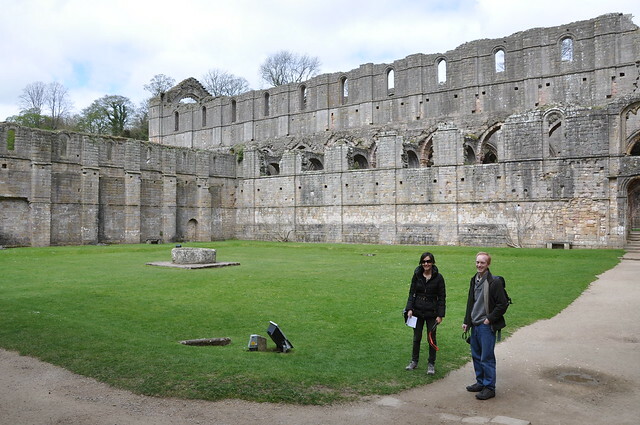 We had a great day out at Fountains Abbey, but there were other explorations to have in Yorkshire.